The 28 years old English professional Football player, Daniel Lee Rose currently plays for the Premier league club, Tottenham Hotspur and the England national team. He is playing in Tottenham Hotspur Since 2007. His playing position is Defensive left back. He is left foot player. His Shirt number is 3. Aaron Lennon is one of his best teammates on Tottenham Hotspur. Danny rose was born on 2nd July, 1990. His full name is Daniel Lee Rose. 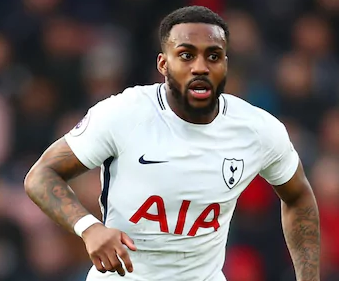 Daniel Lee Rose is popularly known as Danny Rose. He was raised with his siblings named Mitch Rose and Mitchell Rose in Doncaster, beautiful town of England. He was born to Nigel Rose and Angela Rankine, his father and mother. His nationality is English. His astrological sign is Cancer. In 2005, he began his career at Leeds United. At the age of 15, Danny Rose joined Leeds United Football Club and started journey to the career of Football. In 2006, he left the club for Tottenham Hotspur by signing contract for a fee of $1.4 million. He made his team debut against the team, Leeds United with the draw of 2-2 in "FA Cup" on the date of January 2010. Then, he started his first Premier League against Arsenal by winning with the score of 2-1 where he scored his very first goal in this match. Danny Rose then joined Watford on loan for 2008-2009 Campaign in March, 2009 where he made his first appearance for this club by the winning score of 2-1 away at Doncaster Rovers in 4th April. In total, he played 7 league matches. Then, he moved to Peterborough United on loan. Again, he returned to Tottenham on 11th November, 2009, after the short spell with the club. Then, he joined Bristol city on a long term contract on 9th September, 2010. He made his team debut against Leeds United on 13th November. Due to the minor injuries, he went back to Tottenham Hotspur. From Tottenham Hotspur, he was loan out again to the club Sunderland on 31st August, 2012. He made his debut to his team against Liverpool and his very first appeared in the match at Aston Villa on 29th April in the away game. Rose again returned back to Tottenham Hotspur in May, 2015 and made 109 appearances scoring 18 goals for the club. Danny Rose represented his nation at Junior as well as Senior Levels. He became part of England U-16, U-17, U-19 and U-21 national team. He was regular in the England U-21 team. He made his debut against Azerbaijan with the win of 7-0 score. He scored his first goal for England U-21 on 14th November, 2009 against Portugal in a 2011 European Championship qualifier. He was part of Team Great Britain squad for the London 2012 Olympics. On March 16th, 2016 he made international team debut in a friendly game against Germany with the victory in a score of 3-2. 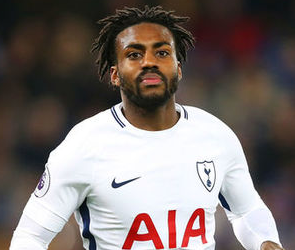 Danny Rose is also in the squad of World Cup 2018 which is being held in Russia. In total, he played 3 games without goal. Danny Rose is unmarried man and living a single life as he has not spoken anything about his relationship. In 2014, he was spotted with a beautiful lady hanging on a beach. He is very successful in his personal life as well as his professional life. His height is 1.73 m and his weight is 76 Kg. The annual salary from his current club is around $3 Million. His estimated net worth is $6 Million as of 2017.